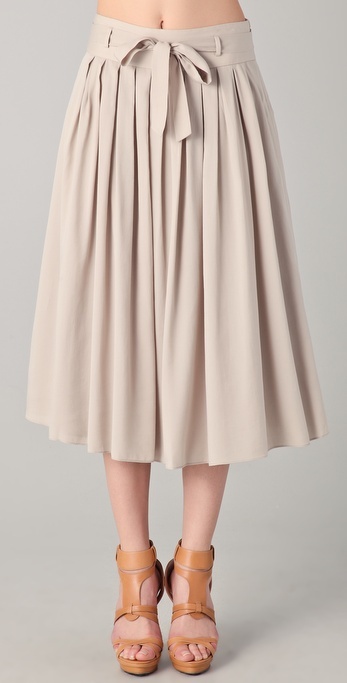 What a pretty swishy skirt - in a silhouette I'm totally digging. How crisp would it look with a classic white tee? Although I think I'd head more in this direction for the footwear. All you 2's and 4's scoop it up on sale now!